I’ve hiked several times to beautiful Emerald Lake in Rocky Mountain National Park. On this excursion, I decided to go off the beaten path a bit and follow the stream that flows out of the lake. 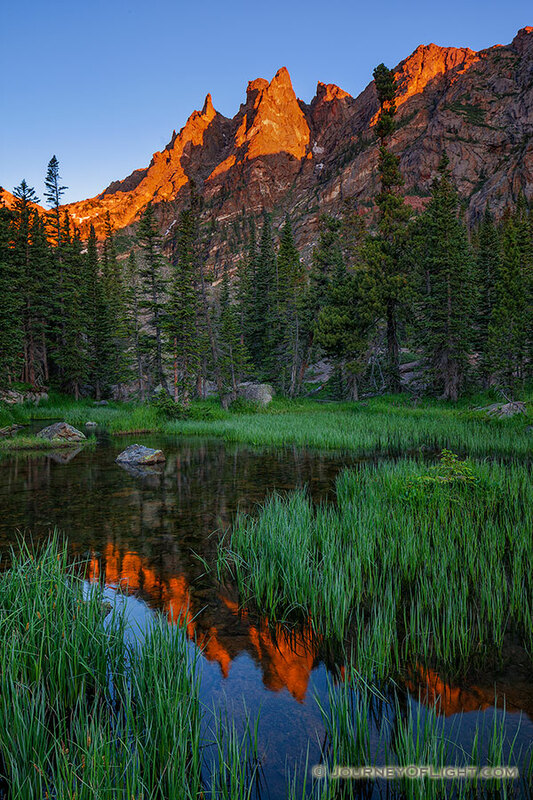 I was rewarded with a beautiful sunrise on Flattop reflected in this verdant little marshy area. Canon 5D Mark II, 24 TS-E f/3.5L, f/11, 1/3 sec.